A good place to start is with those still around to tell us their stories, and so a week ago I sat down with my father, set my iPhone in front of him on the Voice Memos app, and asked him to talk about anything he liked. He was uncertain at first, even said I shouldn’t have told him I was recording so that he’d be more natural, but it didn’t take long before he forgot all about the recording device and just talked, and talked, and talked. Mostly he talked about his time at sea, as those are the stories he remembers best and most likes to tell, and of course I had heard some of them before. In times past he would suddenly launch into a detailed rendition about some naval engagement in World War II, and I would always regret that I didn’t have a tape recorder handy. This time, with a little prompting, he went into much more detail, and the larger story of his early life began to emerge. Before we were done that evening, I had recorded over an hour of our conversation, which I am still transcribing. We covered the period of his life in some detail from the age of 17 until his late 20s, which covers the war years through obtaining his Master’s Certificate as a merchant mariner. We touched on later events in a little less detail up until the time of his emigration to the United States at the age of 48, not much older than I am now. I expect to follow up with him when he’s ready to go back into this period (1945-1969) in more detail, and also to press on to the later years, when of course I was more present in the picture and have a few memories of my own to complement. Our discussion naturally raised more questions and left me with some leads for further investigation. He mentioned attending “Clifton College” or the “University of Clifton” in Bristol, England, in 1938, studying in their Department of Navigation. So, I contacted the Assistant Keeper of the Archives for Clifton College, which is a well-regarded public school (private school to Americans), knowing that it didn’t seem the sort of institution which would be training merchant mariners. It is really more of a university-prep high school, and indeed the Archivist confirmed that my father was not on their rolls. He suggested, however, that I try the City College of Bristol, which does have a marine studies program today. I am waiting to hear back from them. My father served on ships belonging to the J & C Harrison company out of England, but J & C Harrison is now out of business after having run steamships around the world for nearly 100 years. He then served aboard ships for the Union Steamship Company of New Zealand; they too are now defunct. 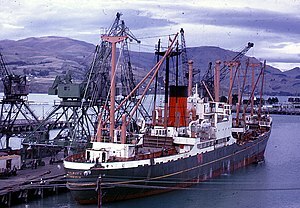 However, I have contacted Maritime New Zealand, which in the 40s and 50s was known as the Marine Department, and from them obtained a scan of handwritten entries in their register showing the dates my father’s 1st Mate‘s and then Master‘s Certificates were issued. His received his 2nd Mate‘s Certificate in England, so they don’t have a direct record of that. Unfortunately the actual Certificates, along with his papers detailing the ships he served aboard, have been mislaid during a house move in recent years, which is something of a tragedy. I do hope that perhaps we will still find them among papers held in storage, but my confidence in this is not high. I do have, however, a crew manifest from the Hartlepool upon her arrival in Astoria, Oregon, from Nagoya, Japan, in April 1939, in which my father’s name appears as a Cadet. I also have a document from the British National Archives detailing one or more of the medals he was awarded for service aboard merchant ships during the war. The actual medals still hang upon his wall in a frame. Together we also applied for a copy of his service record from the New Zealand Defence Force Archives, as he was an active member and officer of the Royal New Zealand Naval Reserve. I am still waiting to hear back, but as this is happening by regular postal mail, it may take a while. It appears similar records may exist with the British Royal Naval Reserve and merchant service, but most of these do not appear to be available online; they will eventually require a personal visit to their offices. Fortunately, I may be able to call upon family in England to help with that. Slowly, piece by piece, his life is coming together as a coherent narrative. For these early years, at least, it is a narrative of adventure, a boy running off to sea to find his future, a war shaping the boy into a man, and a man coming home only to sail over the horizon once more, commanding ships as they ply all the waters of the world. There are torpedoes and dive bombers, cold Russian ports and warmer Pacific ones, romance across the Atlantic, and love found while far from home. Why are so many amateur genealogists retired? Simple answer: genealogy is time-consuming. Don’t get me wrong, the detective work is fun, but after the initial rush when historical records just seem to fall in your lap, things really slow down and every new fact is hard-won, often involving many hours of research to locate and confirm. For those who, like me, are still at work, weeks may pass between data points discovered. So I find time wherever I can. Sometimes I have twenty minutes at lunch, sometimes an hour in the evening, and like anything else, the context switch is expensive. Computer scientists are familiar with this concept, the price (in time) paid to have a processor swap in and out of execution threads. It works the same with people: multitasking is expensive because of the time lost getting back up to speed on something after a context switch. Everything is so much more efficient if one can just focus on it for several hours at a time, but those hours are necessarily taken at the expense of something else. So, I do feel a certain sense of urgency, and I am refocusing my research to fill in life details for more recent ancestors. I know my father would like to know more about those a few generations back — his father never told him much about his grandfather — but his own story is so interesting that I want to make sure I get it right. The stories of those more ancient will still be there waiting to speak to me. Time is on their side; it is only the living who must steal it when they can. My name is Matthew Robert Campbell Fraser (but you can call me Matt). I’ve long assumed that my middle names came from my father, Robert William Campbell Fraser, but the original source for the name Campbell was always a mystery to me until very recently. For that matter, I didn’t know where William came from, and I don’t think I gave much thought to the origins of Robert, or even Matthew. My mother once told me, when I was still a child, that she and my father nearly named me Christopher; as my father is fond of calling himself “Robin” instead of “Robert”, the temptation to call me “Christopher Robin” would probably have been too much, so perhaps I should be grateful for small mercies. Back to the Campbell mystery, however. As children we’re often told all sorts of apocryphal tales about our family histories. I took it as an article of faith, based on these tales, that long ago in Scotland the Fraser and Campbell clans had fiercely feuded with each other, and so I wondered how that name should show up in mine. However, this story does not appear to be true. While the Campbells certainly feuded a lot, I haven’t seen much historical evidence of it being with the Frasers, with one perhaps notable exception: the clans were on opposing sides in 1746 at the Battle of Culloden, during the Jacobite Risings, and I can see how this may have led to some hard feelings. Still in the past couple hundred years there are many instances of intermarriage between the clans, and today just as there are Campbell Frasers like me, there are also Fraser Campbells out there. So, the feud story isn’t true. In fact, it’s those intermarriages that finally explain the origin of the name. A Campbell is indeed among my ancestors: Grace Campbell, who in 1835 married Alexander Fraser in Kirkmichael, Perthshire, Scotland. Grace and Alexander are my great-great-grandparents, and their names show up again among their descendants. Their second son was — wait for it — Robert Campbell Fraser. So, Campbell mystery solved, and now we know where Robert came from. Was I named for my father or my great-grandfather? Both, really, as my father was certainly named for his grandfather. So what about William? Where does my father obtain this middle name? Here the tradition of naming for grandparents holds; once again, he was named for a grandfather, this time on his mother’s side: William Henry Statter, an Englishman, whose daughter married the son of Robert Campbell Fraser. Among Frasers there are some names that appear very frequently. Hugh, Simon, Alexander, Robert, John: these are all very popular first names for male Frasers. So, how did I become a Matthew (besides avoiding a Milne reference that would have dogged me for life)? I have a sister named Deborah, so I’ve theorized that my parents went through a phase of using Biblical names, but they didn’t stick exclusively to that. It’s a mystery still. I suppose I could just ask them. 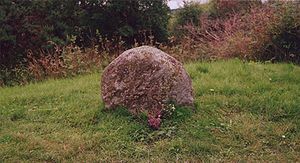 Posted on September 18, 2011 Categories Campbell, Fraser, Genealogy, History, Scotland, StatterTags Battle of Culloden, Jacobite Risings, Kirkmichael1 Comment on What’s in a name? Welcome to the new blog and site for Clan Fraser in Seattle and our family history, stretching back to New Zealand, Scotland, and England (and maybe a little sideways into Australia, as we may discover). I’m just getting started, both with publishing this blog, and with research into my own genealogical roots as I explore back in time. Stay with me, and I hope you enjoy the result.